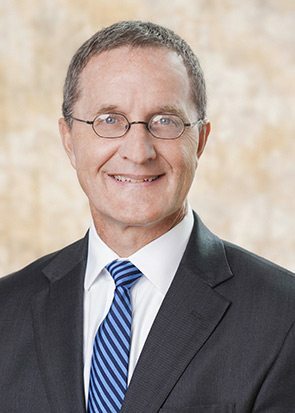 With over 30 years' experience as a litigator, Patrick serves as Counsel in the Tampa office of Burr & Forman, LLP and is a member of the firm's Creditors' Rights and Bankruptcy Practice Group. Patrick concentrates on creditors’ rights and has substantial experience in property management and landlord-tenant law, principally representing commercial and residential landlords and property managers in landlord-tenant disputes and transactional work, including office and retail leases. His litigation practice has a primary emphasis on recovery of secured assets for lenders and financial institutions in state court, including mortgage foreclosures, replevins, and collections through judicial lien enforcement (garnishments and executions), and litigation involving UCC Articles 3, 4, and 9. He also represents creditors in bankruptcy litigation matters and appellate litigation arising from commercial litigation cases. Patrick’s specialties include creditor’s rights, commercial litigation & collections, landlord-tenant law. Burr Alert: Garnishee Bank’s “Defenses” Trumped?